HomeFúinnLéitheoireacht & FoilsitheoireachtAn GúmÓró na Circíní – ainmnithe ar ghearrliosta Ghradaim Leabhar na Bliana de chuid C.B.I. 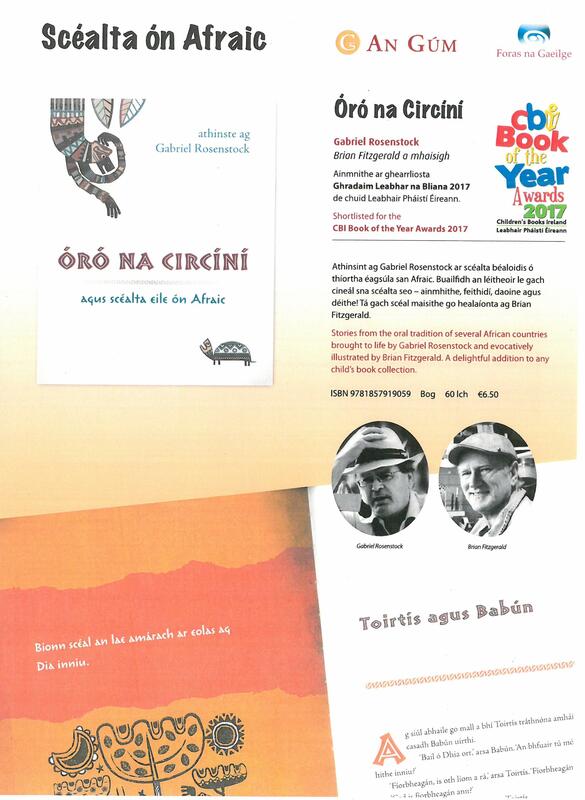 Gabhann An Gúm/Foras na Gaeilge comhghairdeas le Gabriel Rosenstock agus le Brian Fitzgerald as a saothar, ÓRÓ na CIRCÍNÍ, a bheith ainmnithe ar ghearrliosta Ghradaim Leabhar na Bliana de chuid Leabhair Pháistí Éireann (CBI). Fógrófar buaiteoirí na nGradam ar 23 Bealtaine.